General Longstreet orders Preston’s Division and the Reserve Artillery of Buckner’s Corps north to act as a reserve. 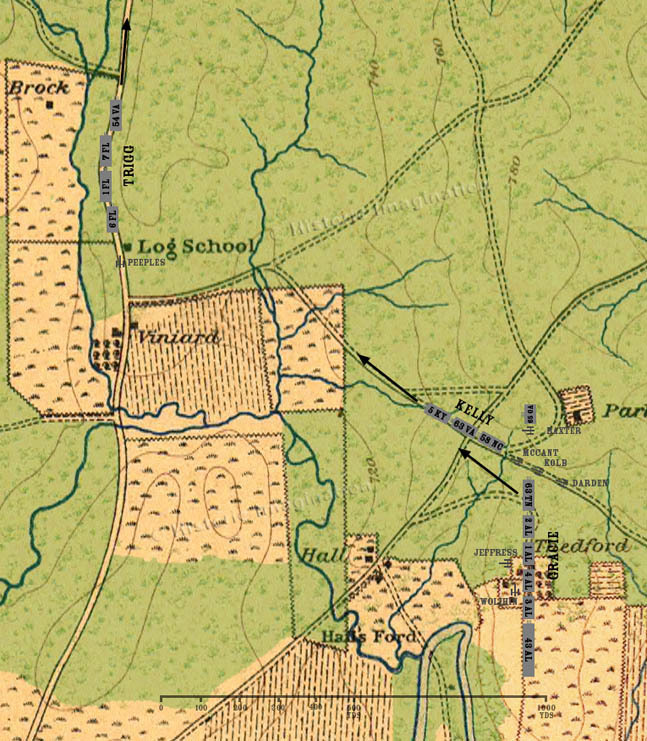 The 65th Georgia of Kelly’s Brigade and the batteries of Jeffress and Baxter are left behind to guard the fords. The exact order of march is unknown.